If you are a musician (e.g. folk guitarist, rapper, hip-hop artist) you might have already noticed that playing to crowds in street corners or subway stations and earning pennies is only an acceptable way of life in drama flicks. In reality, it is no way for a talented musician (you) to live and get famous. If you have got real talent, you can clean up and join any of the reality TV talent competitions, or you can invest time and effort on a beat maker software free download and start recording your original music. Users prefer the acronym, LMMS because the full name is quite a mouthful: Linux MultiMedia Studio. 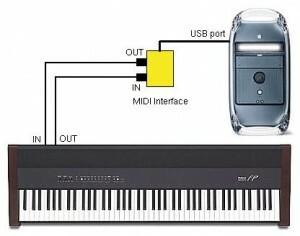 It is similar to midi devices and has the capability to usher in to existence that beat you’ve been adding layers to as your street performance evolved through the years. LMMS has very organized and labeled windows for the uninitiated. And by dragging and dropping all over the interface, you can bring the piece of your first recorded track to fruition. 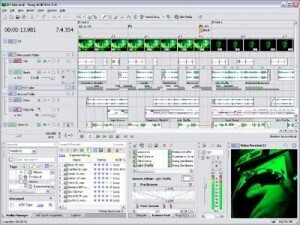 If you haven’t heard of ACID software, you really don’t need to do any homework on it anymore. (And you probably won’t be able to afford it since it’s the commercial version). The ACID Xpress is what you need since it’s a ten-track free version especially designed for hip hop and rap. What this software does is in general, “loop-based music creation.” To simplify, this free software lets you record, edit, mix, and eventually give birth to that amazing beat that’s been pounding inside your head for a while now. This has nothing to do with Muse, the band. (If you do not understand the reference, never mind because they are already making loads of money and you’re not; at least not yet.) 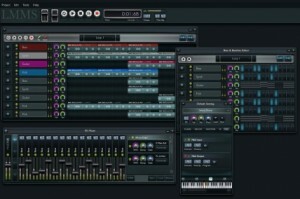 Muse is another music making program that’s packed with a MIDI and sound sequencer. It has very basic functions, but it is free and you ought not to be too choosy. This rather plainly labeled software (couldn’t they have thought of a more unique name?) is one of the most praised and most talked about in the market today. 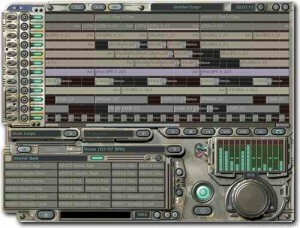 This software can produce the beats that you’ve worked so many years out in the street to perfect. You can always record your own sounds, but why not take advantage of modern technology and do it via click and drag? The beat making hardware of old were all way beyond reasonable budget. But this software is free, so why not give it a try? You must have realized already that you’d need a personal computer to get your music career going beyond the block, right. We’re not endorsing one brand over another, but this software works only with Windows OS, as do most others. 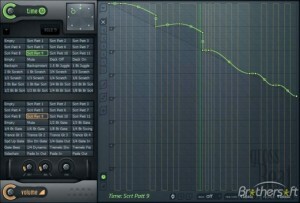 SequBeat Pro 7.0 is all about the low end. It is essentially a virtual drum and percussion kit complete with snare, kick, cymbal and high hat, for starters. It has an adequate library and allows importing of samples. Gross Beat 1.0 is one of those things in this world that will fit the popular saying, “more than meets the eye.” Actually, it’s more of a misnomer than anything because it does not deal with anything gross. 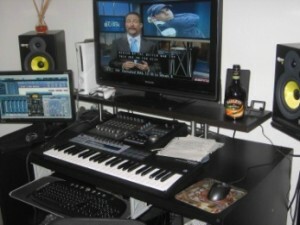 In fact, it offers the finer things in life—repeat, scratching effects, stutter, rendered gating, among others. 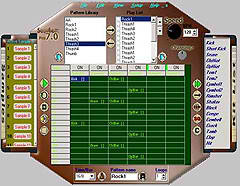 Gross Beat 1.0 is also designed to provide great effects during a live performance. You can try this one out on the street, too. Beat Morpher 1.0 is another drum kit, but this one makes the user a mutant creator of sorts because it allows you to morph from one rhythm to another. This effect is essentially all that it does so rather than spoil it for you; we’d give you the chance to find out how it works. Hint: Simon Posford. Is it obvious that this list is partial to drum machines? We offer no excuses and no explanations. Here is another virtual drums and percussion set (sets, actually). When we say velocity-sensitive sounds, does it ring a bell? No matter. 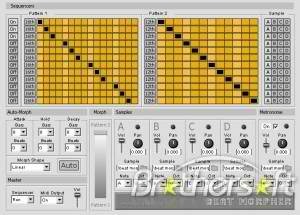 You’ll learn all about those using Wollo Beat, famed for its wellspring of 808 drum styles. We think that the reason why this product is called “Reason” is that you won’t find any reason whatsoever not to want it. Why? 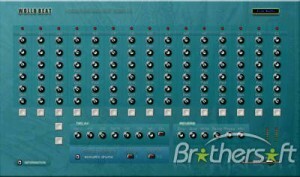 It is a mixer, sequencer, and synthesizer in one unit. The statistics will definitely impress you, but in a nutshell, it is a layered, sophisticated, and powerful software. 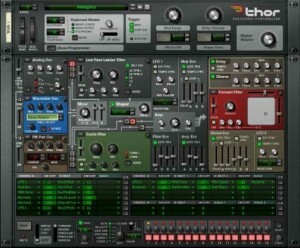 It has been said more than once that if you are serious in producing your own tracks, you’d need Reason to make it big. Samplisizer is number one mainly because we like the name given to it. And since we are making this list for you, a very talented street musician who is new in the world of music making software, this is the definitive software for the new and upcoming music producer. (Yes, that’s you. Haven’t we already agreed you’d turn back from the pennies and start earning real money?) Here’s one thing about it that might keep you excited: 3, 500 samples and loops. Impressive, huh? If you are not at all web or PC savvy, you can always start out with tutorials (you’ll find more than enough to bore you after just half an hour of searching the Internet). It makes more sense to gamble on any of the ten beat maker software free options we’ve just presented to you than continue trying your luck in the streets. Make sure to let us know if and when your debut single enters the Cloud and what software you used to launch your music career. Wicked list of beat makers, I think people will find this super useful. Mind if I share a link to it from http://rapglobal.com? I think they’d really enjoy it over there. LMMS is the only one I’ve used here, and I love it. The samples are all instrumental and electronic, so you can also resell your beats royalty free if you wanted to, on an agency such as Pond5. Lol! Wollo Beat 2.0 is a vst plugin and not a music software and also Gross Beat 1.0 is a plugin that is used in Fl Studio “a music making software”. I think you are giving out mis-information on here and you have two music software programs that are correct is “Reason and LMMS”. Acid Xpress way so outdated music program nobody is using today “8 years behind”. Numbers 8,6 and 4 are old programs and Number 7 is not a music software, “lol again with bad mis-information” that is more of a studio setup inside the home: I know all of this because “i’ve make music and produce myself” and have used these music software below from the list. Here are some Music software programs to make or compose music on your PC/Laptop for music production: Fl Studio, Abelton Live, Garage Band, Logic Pro, Mixcraft, Pro Tools, Cubase, Propellerhead’s Reason, Magix Music Maker, Presonus Studio One, Bitwig studio, Acid Pro and Lmms.